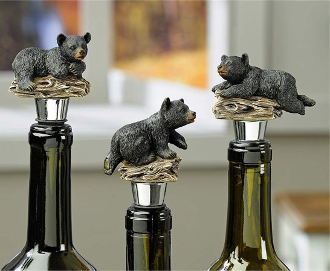 A perfect decorative black bear wine bottle stoppers. The perfect gift for the wife of a hunting obsessed husband, or just a country loving lady. Size: 2.4" x 4.7" , 3.8" x 4.3" , 3.3" x 4.5"